Although still a “young” technology, the Internet has had a profound impact on the world in the few decades that it has been around. One of the most interesting chapters of this short history has been its development in Africa. In this section, we bring highlights from a collection of various sources about the development of the Internet in the continent, honoring some of the pioneers, organizations and technologies that made it all possible. 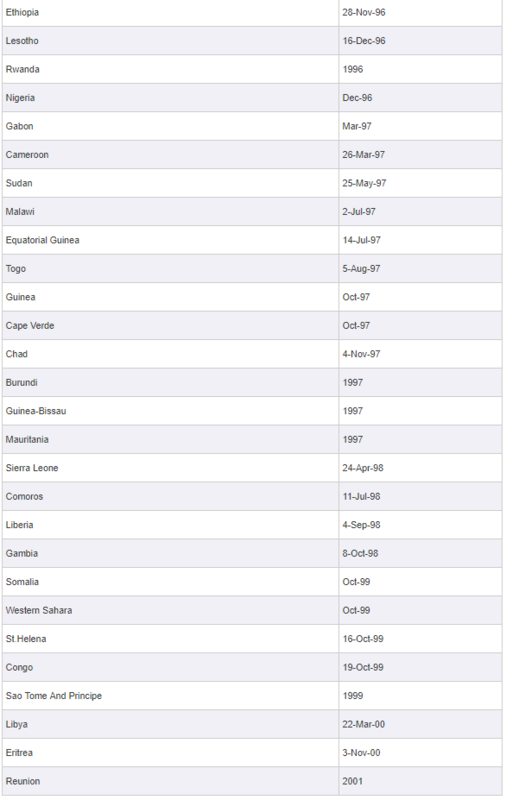 Many international organizations have played an important role in Africa Internet history. Their actions were significant in the area of infrastructure, policy, capacity building and more. This section is trying to summarize some of these actions by international organizations and research centers. The New Partnership for Africa’s Development (NEPAD) is a programme of the African Union (AU) adopted in Lusaka, Zambia in 2001. NEPAD’s e-Africa programme works in the area of technology to promote Africa as a globally competitive digital society. The programme was previously known as the NEPAD e-Africa Commission and is tasked with developing policies, strategies and projects at continental level for the development of information and communication technologies (ICT) throughout Africa. The aim of the NEPAD e-Africa Programme is to pursue cross-sector initiatives so that ICT is entrenched in all social sectors, e-services are developed and Africa is digitally competitive. 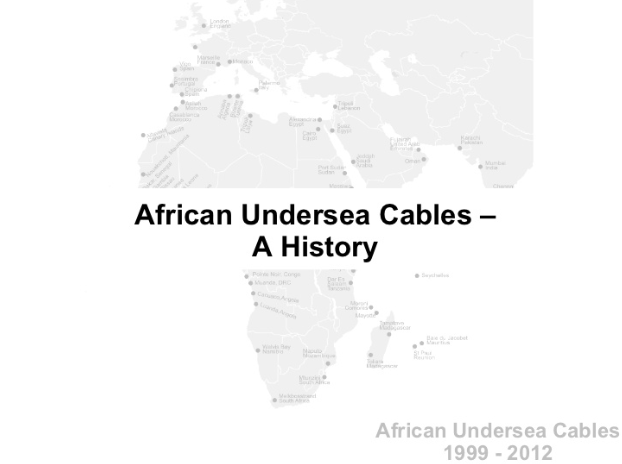 Aims to connect all African countries to one another and to the rest of the world through existing and planned submarine (Uhurunet) and terrestrial (Umojanet) cable systems. Aims to integrate the continent and enable trade, social and cultural interchange to take place with ease and affordability. Uhurunet is being developed by Baharicom Development Company (BDC) which has signed an MoU with ACE (Africa Coast to Europe) to jointly build a submarine cable that will extend from Europe to South Africa, running along the West African coast, and connecting every African country along that coast. Umojanet is a a terrestrial network that will link every African country to its neighbours, will connect to Uhurunet to realise the dream of the cross-border continental NEPAD Network. Another key project of the e-Africa programme is the NEPAD e-Schools Initiative. The initiative aims to harness ICT technology to improve the quality of teaching and learning in African primary and secondary schools in order to equip young Africans with the knowledge and skills that will enable them to participate confidently and effectively in the global information society and knowledge economy. Sixteen African countries have signed MoUs with the NEPAD e-Africa Programme and a consortia of private sector companies to participate in the NEPAD e-Schools demo Project. To date over 80 demonstrations NEPAD e-Schools have been implemented. Each school in the demonstration project was equipped with a computer laboratory containing at least 20 PCs as well as a server and networking infrastructure and peripheral devices such as scanners, electronic whiteboards and printers. The schools were connected to the Internet to enable them to access content and to communicate with the rest of the world. Canada is also an active country in cooperation in the field of ICT in Africa, especially in the Acacia project. “Launched in 1997, Acacia is dedicated to experimentation and learning. Each country represents a different laboratory to assess models of community access to ICT and the larger issue of the role of technology in development. Although there is general agreement that the information is essential for development, the notice is less consensus about how best to share. Many feel that ICTs are luxuries that detract from investment that should respond to basic needs like drinking water, primary health care and education. Acacia is an opportunity to demonstrate how ICT can supplement these development objectives and help achieve them. A monitoring program, ELSA (Evaluation Systems for Acacia and learning), will identify successes and failures, which in turn will determine the ongoing operations of Acacia and possible investments in ICTs for development [ 13] “. The Canadian government has allocated 60 million Canadian dollars for this program over five years. (IDRC). The United States are also interested in Africa. In 1996, they launched the Leland Initiative which, over five years, must spend $ 15 million to connect to the Internet twenty African countries. The USAID offers these countries the installation of dedicated lines for high speed (64 to 128 Kbps) to liaise between the U.S. network and the national telecommunications operator. “The project seeks to be flexible, ready to overcome obstacles and seize opportunities in a given country to support policy reform, facilitate the rapid and low cost Internet and set up proven mechanisms that create and re buckets of active users . “In other words, the main consideration for the assistance provided by the Leland Initiative is the liberalization of national telecommunications sector. The African Information Society Initiative (AISI) is an action framework that has been the basis for information and communication activities in Africa since 1996. AISI is not about technology. It is about giving Africans the means to improve the quality of their lives and fight against poverty. – organised the African Development Forum 1999 (ADF’99), which took place from 24 to 28 October, to bring the message of information technology and development, within the context of globalization and the knowledgebased economy. The Sustainable Development Networking Programme (SDNP) of UNDP lasted in the main from 1992 to 2000 and reached close to 80 countries in efforts to promote greater use of ICTs for sustainable and human development. The SDNP was one of the first initiatives focused on bringing the benefits of ICTs to people in the developing world. A small team at UNDP HQ in New York managed the corporate programme, but the essence of the SDNP’s activities took place in about 40 partner countries located around the world. The objectives of the SDNP were to facilitate access to information for decision-making and to strengthen the participation of various development actors such as CSOs in the development process. The SDNP was originally conceived as a support mechanism for Agenda 21 and up to 1998, had expended about USD 16 M from a variety of sources inside and outside UNDP. SDNP projects were developed in collaboration with the governments of the countries concerned, but did not always focus their operations on government. CSOs were often times the main beneficiaries along with other non-governmental stakeholders. The project in most but not all countries included a Steering Committee that brought together representatives of different stakeholder groups as advisors and partners with a stake in the SDNP project. A local management group was established, and a manager was sought, preferably one with entrepreneurial skills and some understanding of local needs and of the potential of ICTs. SDNP activities included initially promoting the use of email and basic connectivity as well as engaging in awareness promotion and training. Later, the project extended its focus to consider Internet connectivity and appropriate local models of connectivity, as well as content and Web portal development. In some counties, the SDNP also mobilized attention around the importance of ICT for development and lobbied governments to adopt more liberal telecommunications regimes. Several SDNP managers were involved in ICANN and related initiatives. Building Local Capacity for ICT Policy and Regulation: A needs assessment and gap analysis for Africa, the Caribbean and the Pacific. Policy-making and regulation for the ICT sector in developing counties are complex and difficult challenges, for several reasons. The issues are complex and rapidly changing as technologies and business models change. The political economy of ICT sector reform is highly sensitive, both because of vested interests and because of labor and revenue implications of restructuring, privatization and competition. And policy and regulation are by their nature incremental, contextual processes shaped by local realities. Expanding Affordable Access in Africa: Support for a consensus building workshop on the EASSY submarine cable project. The Association for Progressive Communications (APC), along with other African and international organizations committed to expanding affordable access to information and communication infrastructure and services in Africa, have been engaged in advocacy and policy dialogue with public, private and civil society stakeholders in Africa. The dialogue has focused on how to promote flexible approaches for the financing and ownership of the proposed Eastern and Southern Africa submarine cable project (EASSY) so as to assure affordable and competitive access to the international communications bandwidth that will be provided by that cable. This work builds upon substantial work that APC has already been doing, in cooperation with other partners with substantial finding from the UK Department for International Development, on policy advocacy for expanding affordable ICT access in Africa. The World Bank continues supporting many ICT initiatives in Africa. Services: Email, Forums, Listserv, Electronic bulletins, User directory. Users: About 1000. They are working for scientific research establishments, Universities, NGO’s, library. 13 000 Emails making about 50 MO are sent every month between North (Europe, America) and South Africa, Caribbean and Pacific) part of network. Keeping links up 24 hours a day to Africa was not practical, however. Some countries turned off electricity at night. In addition, tariffs were high enough that a call to Paris 24 hours per day would be prohibitive. 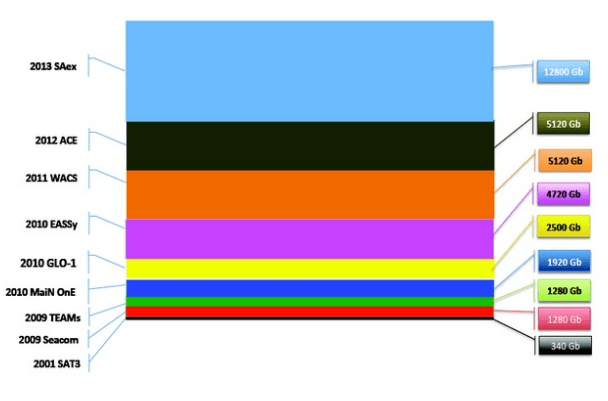 TCP/IP also had some problems in such an environment so the solution was UUCP. The UUCP F protocol ran on top of X.25 and calls were placed once or twice a day to transfer mail. An archive site, museum.media.org explains even more about RIOnet. When a new site was added to the network, Pascal Renaud and local researchers would host a conference attended by government officials, PTT staff, any local non-governmental organizations (e.g., the UN), and university researchers. ORSTOM had a policy of allowing any of these people to use RIO. This open policy helped make ORSTOM part of the local community and helped spread mail access to many new parts of the world. Supporting scientific computing in such a far-flung network is quite a challenge. Only a few sites had real computer support people. Dakar, for example, had one staffer to support the 15 Suns at that site. For other facilities, ORSTOM had an interesting support structure. In France, military service is compulsory. An alternative however is a system somewhat like the U.S. Peace Corps. ORSTOM, as a national laboratory, receives an annual quota of young engineers and puts them to work maintaining computers in far-away places. In Africa, as in the majority of developing areas, efforts to get more people to use the Internet productively are handicapped by a lack of essential technical information, trained local network operators, and financial resources. The NSRC, which traces its roots to a volunteer effort to support networking in southern Africa in the late 1980s, was formalized in 1992 with support from the National Science Foundation (NSF). With its home base now at the University of Oregon Computing Center in Eugene, Oregon, USA, the NSRC continues to provide pro bono technical support and engineering assistance to developing area networks around the world. The NSRC effectively functions as a virtual global clearinghouse and service center working with individuals, organizations, and governments worldwide. The NSRC disseminates information, training, and tools to local networking organizations in developing countries to help them acquire affordable networking technology. By providing technical assistance to numerous countries around the world, and tracking international connectivity developments, the NSRC has established and maintains an extensive base of contacts willing to contribute their time and expertise to further these efforts. The NSRC’s emphasis on empowering in-country network engineers has contributed significantly to the development of sustainable networks, managed by local hands with local expertise. The International Organization of La Francophonie was created in 1970. Its mission is to embody the active solidarity between its 75 member states and governments (56 members and 19 observers), which together represent over one-third of the United Nations’ member states and account for a population of over 890 million people, including 220 million French speakers. Alongside the IOF, the Parliamentary Assembly of La Francophonie and the four direct operators are responsible for implementing the programs decided at the Summits. Agence Universitaire de la Francophone is one of these operators ‘Digital campuses’ are central to the Agency’s broader mission of bridging the digital divide between developed and developing Francophone nations in general, and Anglophone and Francophone Africa in particular. Each of these centres- based in local universities- provides students with access to the Internet, e-mail and various online resources in French. Since 1998, the Agency has founded ‘digital campuses’ at universities in many countries. The Regional INformatics Network for AFrica (RINAF) Project was conceived by the Intergovernmental Informatics Program (IIP) of UNESCO in 1985 (01). At that time, no initiatives to set up research network services in Africa existed. Due to delays incurred in gathering fundings and obtaining burocratical approval, the project was started late in 1991 with funding of about 1 million dollars from the Italian Government. The official opening of the project was held in DAKAR, in February 1992. At that time, a number of projects were started under the initiative of different governments, companies or institutions of the more developed countries; some initiatives were also started by the African countries themselves. For these reasons, the RINAF project decided to invest the funding available to promote the use of research network services by cooperation with the initiatives already existing. develop an operative process for the coordination, integration and upgrading of African networks, as well as exchange with other international networks. UNESCO is also supporting other ICT initiatives on the continent. ISOC global INET Technical workshops have been very contributive in creating a pool of qualified people in setting up IP networks in developing countries especially in Africa. Over 10 years many African have benefited from the one week yearly training program focused on DNS, routing and internet services implementation. INET events were opportunity for participants from Africa to organize events called the “developing country networking symposium” . Important topics relevant to the Internet in Africa were discussed during these symposiums. These events were leaded by Dr Nii Quaynor, Dr Tarek Kamel, Pierre Dandjinou. 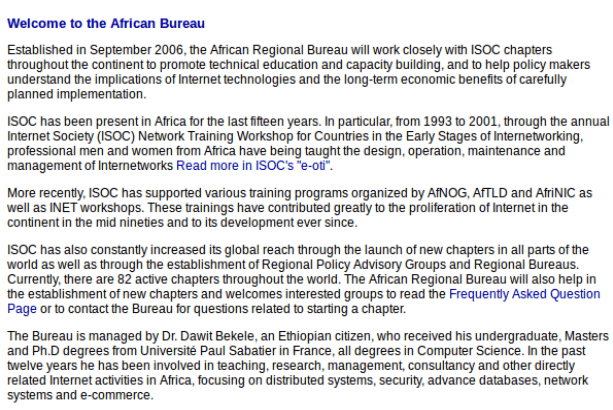 The first ISOC chapter was ISOC Morocco chartered in 1996. The chapters have been playing an important role in education, public awareness and networking events. To better serve the African region ISOC has approved the African bureau. 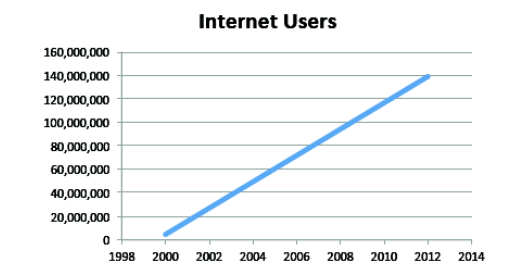 The Internet Corporation for Assigned Names and Numbers (ICANN) was formed in 1998. It is a not-for-profit partnership of people from all over the world dedicated to keeping the Internet secure, stable and interoperable. It promotes competition and develops policy on the Internet’s unique identifiers. ICANN coordinates the Domain Name System (DNS), Internet Protocol (IP) addresses, space allocation, protocol identifier assignment, generic (gTLD) and country code (ccTLD) Top-Level Domain name system management, and root server system management functions. These services were originally performed under U.S. Government contract by the Internet Assigned Numbers Authority (IANA) and other entities. 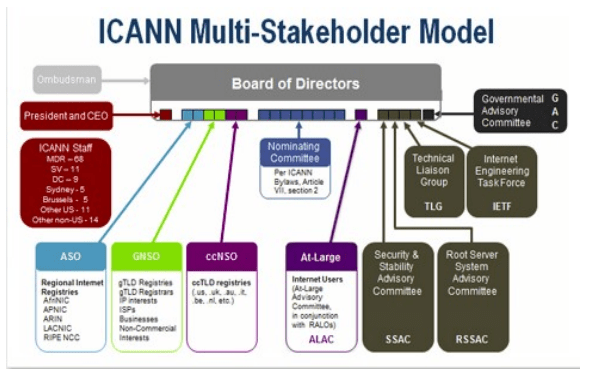 ICANN now performs the IANA function. In 1997, the proposal for a regional Internet registry is submitted during the INET workshop in Malaysia. A year later, a steering committee was set up after a consultation meeting in Benin to work on the structure and proposed business plan. In 2000, the first AFRINIC observers were appointed to the ASO AC. Following a recommendation of the steering committee, an initial Board of Trustees was appointed based on a sub-regional representation in 2001. The first Board was chaired by Dr. Nii Quaynor with the mission to formalise the organisation and work towards its accreditation as a RIR. In 2004, after a selection of potential host countries, AFRINIC was incorporated in Mauritius. It was decided that the overall oversight of AFRINIC will be done by representatives elected from the six identified sub-regions in Africa (Northern, Western, Central, Eastern and Southern). 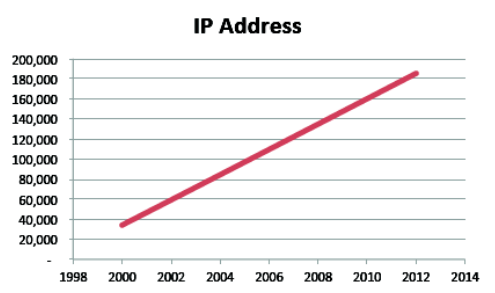 AfriNIC is fully serving the Africa region in IP addresses management. Adiel Akplogan is the Chief Executive Officer since its creation. At the beginning of the 1990s, African countries relied upon X.25 IPSS and 2400 baud modem UUCP links for international and internetwork computer communications. Many Fidonet were also installed in some countries before full IP gateway installation. 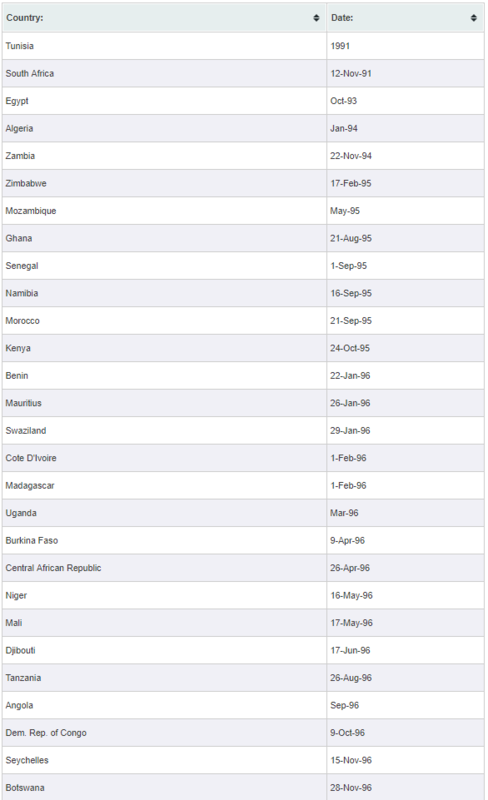 Most African countries installed their first internet Gateway through satellite links. Africa relies on satellites and Very Small Aperture Terminal (VSAT) earth stations for most of its connectivity. This results in high prices — though tariffs often of USD 3 000 – USD 5 000 are often lower than SAT-3 — and the applications are slow compared to other technologies. A web page request can take up to 16 seconds to complete. Intelsat, the world’s largest commercial satellite service provider, provides full coverage in Africa. Thuraya, which has Middle East and North African telecommunications and investment companies as shareholders, gives coverage to North and Central Africa. Moves are being made in west, east and southern Africa to increase the international networks. But for now, East and Southern Africa relies on satellites and has just 0.07 per cent of the world’s international bandwidth capacity. The 10 000 kilometer long East Africa Submarine Cable System (EASSy) was to connect 21 countries from South Africa to Sudan by 2008. Prices were expected to fall to USD 500 – USD 1 500 per Mbps/month under an open-access scheme where every service provider could purchase at the same price, whether or not they were investors. The USD 263 million project has suffered delays largely due to disagreements over management of the consortium. While EASSy has been delayed, other projects have advanced. Seacom is a 17 000 kilometer submarine fibre optic cable costing USD 650 million scheduled to launch in June 2009 and link South Africa with Mumbai in India, Marseille in France and London via Kenya, Tanzania, Mozambique and Madagascar. Kenya is also working with Etisalat to connect its coastal city of Mombasa to Fujairah in the United Arab Emirates. Alcatel-Lucent has been awarded USD 82 million to lay the 4 500 km fibre-optic cable for the East African Marine System (TEAMS). SEACOM and TEAMS will begin operations in Kenya in the second quarter of 2009 with an open access policy and prices of USD 500 -USD 1 000 per MBPS/month. The World Bank has allotted USD 424 million to boosting regional networks in eastern and southern Africa under the Regional Communications Infrastructure Programme (RCIP) which it hopes will increase traffic by at least 36 per cent a year and cut bandwidth costs by one tenth. Kenya, Burundi and Madagascar are involved in the first phase of RCIP, involving USD 164.5 million. By the end of the programme, it is expected that all capitals and major cities in eastern and southern Africa would be linked to competitively priced high bandwidth. The RCIP accounts for more than 10 per cent of total World Bank support to Africa. The African Development Bank (AfDB) is also helping infrastructure development. On the West coast, Ghana, Nigeria and Senegal have the most significant potential demand for international capacity. Up to seven investment groups have said they would add international capacity in the region but only a few will succeed. Globacom, the second oldest operator in Nigeria, is expected to lay a 9 500 km fibre optic link to Lagos in 2009 later going to Accra, Ghana and Dakar, Senegal. The GL01 project, costing USD 150 million, is risky as the operator’s current traffic volume in Nigeria, Benin and Ghana does not justify the investment. MaIN One is another Nigerian project implemented by Mainstreet Technologies to link Portugal with Lagos and Accra by May 2010 with USD 200 MBPS/month wholesale prices. The link is ultimately expected to go on to South Africa and cost USD 865 million. The West African Cable System (WACS) is supported by the largest operators in South Africa, MTN, Neotel, Telkom and Vodacom, which have traffic along the West coast. Only landing stations in Lagos and Accra are planned. The Africa Coast to Europe (ACE) project supported by France Telecom and 14 African operators is expected to connect France to Gabon by 2011. The cable will be built by a France Telecom-managed consortium. The Other Three billion (O3b) satellite, costing USD 750 million, is expected to be in service by 2010 with prices around USD 700 MBPS/month. It will be able to download web pages in 4 seconds. NEPAD’s Uhurunet plan for an undersea fibre optic link around Africa does not have much support. Finally, Thales Alenia Space is constructing the first pan-African telecommunications satellite, Rascom. Originally planned for the 1990s, it is now only expected to provide services after 2010. The West African Festoon System (WAFS) aims to connect countries along the west coast from Nigeria to Namibia. It is expected to have the same governance structure as the SAT-3 cable and also be managed by Telkom SA so WAFS might not offer open access. Some alternative networks operate with mixed success. More than six electricity companies have received a licence to sell capacity directly or through another company. A 2 000 km fibre optic cable is owned by Société Nationale d’Electricité (SNEL) in Democratic Republic of Congo. These have been badly hit by the country’s war. The World Bank is spending USD 315 million in Democratic Republic of Congo, including USD 33 million on a fibre-optic cable network. This could be expanded to other members of a proposed Southern African Energy Pool. Escom in Malawi will soon have fibre-optic cable links to Mozambique and the Tanzania Electric Supply Company (Tanesco) says it will build a new national grid with spare capacity used for telecommunications. Internet has directly impacted on socio-economic and political environment in Africa. Improvement of access within countries enable more people to access to the Internet from individual machines, Internet cafes or Community Centre. Short for “electronic government” – also known as e-gov, digital government, online government, or connected government – e-government is defined by digital interactions between a government and citizens (G2C), government and businesses/Commerce (G2B), government and employees (G2E), and also between government and governments /agencies (G2G) (http://en.wikipedia.org/wiki/E-Government). The development of Internet is having a serious impact on the adoption of E-Goverment by many countries in Africa. Africa has seen improvement in e-government with countries in the region looking to increase their online presence through developing websites for government ministries and agencies. 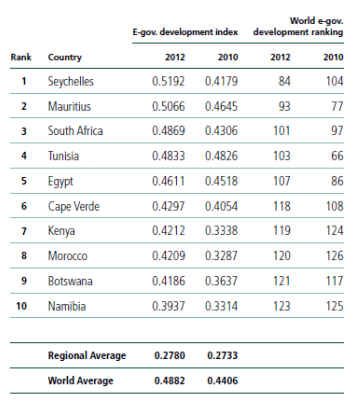 The previous table shows that Seychelles (0.5192) climbed several points to number one in the region in 2012 followed by Mauritius (0.5066) and South Africa (0.4869). 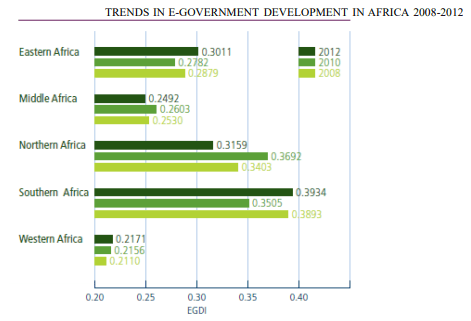 It is notable that all of the African leaders increased their e-government development index value in 2012 but lost in comparative performance around the world, except for Kenya and Morocco, which gained in the world rankings from 124 to 119 and from 126 to 120 respectively. Tunisia (0.4833) and Egypt (0.4611) declined in rank substantially as did Cape Verde (0.4297) because their improvements did not keep pace with those of other countries around the world. Projects in the education sector have been implemented with the availability of Internet connectivity in many countries. This is valid for from primary education to University and Research Centers. The EUMEDCONNECT project is a pioneering initiative to establish and operate an IP-based network in the Mediterranean region. The EUMEDCONNECT project began in December 2001. Countries in the Mediterranean region able to benefit from the EUMEDCONNECT project are Algeria, Cyprus, Egypt, Israel, Jordan, Lebanon, Malta, Morocco, the Palestinian Authority, Syria, Tunisia and Turkey. The EUMEDCONNECT network serves the research and education communities of the Mediterranean region, and is linked to the pan-European GÉANT2 network. WACREN is the West and Central African Research and Education Network. Incubation of the regional network started at AfNOG 2006 and at the Regional Workshop on Research and Education Networks organised by the Association of African Universities (AAU) in Accra in November 2006. The need to build organizational and technical capacity within constituent NREN countries was identified as a requirement for a viable network. WACREN has 8 members in 2012. Internet development in Africa has also permitted distance learning initiative and programs on the continent. The World Bank began work on the African Virtual University (AVU), a satellite-based distance education program, in 1995. The program intends to provide Sub-Saharan African countries with university education in science and engineering, credit/continuing education programs, and remedial instruction. To implement the operational phase, AVU has been transformed from being a project of the World Bank to an independent reputable inter-governmental organization based in Nairobi, Kenya with over 34 learning centers in 17 African countries. The success of the AVU “proof-of-concept” stage and “transition” phase (July 1997–December 2001) offers evidence that AVU is well positioned to add tremendous value to its students and university partner institutions in Africa. Players in the agricultural sectors are using market information system (MIS) to develop their activities. Many projects on MIS have been implemented in Africa. Farmers can communicate with traders using online platforms. Combining mobile technologies farmers can have access the to market price or communicate with traders from their farm through MIS platform. This enable more transparency in agricultural transaction. Across Africa, the Internet is being used in Telemedicine, monitoring disease outbreaks, reporting and publications. Telemedicine is the process that uses ICTs to transmit medical images, records, and diagnoses to remote locations in order to overcome shortages in regional health-care providers. Telemedicine technologies include Internet related applications such E-mail, satellite transmissions, audio-visual conferencing, and radiotelephony. Recently efforts have been put together to better help the continent in regards to improve DNS security and Internet security in general. Alain Aina has been playing an important role in DNS security and also representing the continent by being one of the crypto officer for ICANN. Michuki Mwangi is active in participating in IETF and also working in the implementation of Internet Exchange Points on the continent. Jean-Robert Hountomey is co-ordinating the Computer Emergency Response Teams in Africa with AfricaCert. African Internet user’s voice is also carried by AfrALO which is approved by ICANN in 2007. Fatimata Seye Silla is the Chair of this group. The African Network operators group (AFNOG) has been organizing a technical workshop to train network technician and engineers. The table below indicates workshops dates and location. 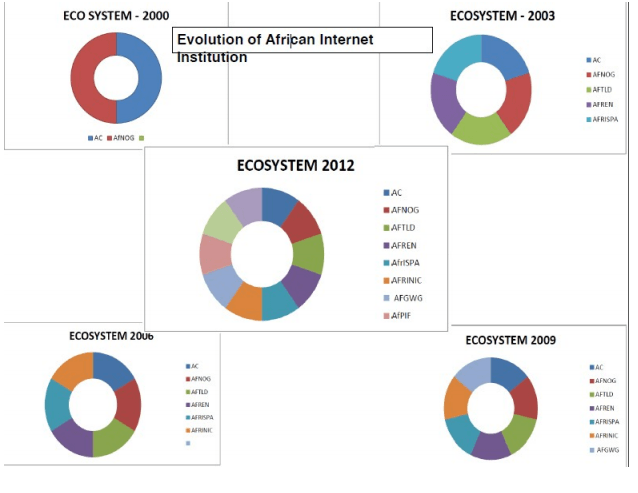 Talking about Internet pioneers in Africa is not a very easy task and many players might be left out in this document. We are not focusing on individuals that have played only pioneering roles in their countries. However we are recognizing pioneers from the first three African countries connected to full IP Internet. We are focusing on actions that are historically unique on the continent and also on people whose have played a role within the whole continent during the past 20 years. This document doesn’t talk about many other individuals outside Africa whose contribution have been tremendous in Africa Internet history. Mike Lawrie Led the Rhodes team that established the first in ternet networking system in South Africain 1988. Tarek Kamel is an Egyptian expert in global Internet governance issues. He is considered the father of the Internet in Egypt. In August 2012 ICANN appointed Tarek Kamel to serve as a Senior Advisor to its President. And by that he is the first one from the developing countries to take one of the leading roles at ICANNs senior management. Prior to joining ICANN, he was a board member of the National Telecom Regulatory Authority of Egypt from April 2011- July 2012. Kamel served as the Minister of Communication and Information Technology from July 2004 to February 2011, where he was responsible for the reform of the ICT sector and the development of telecom services and the Internet industry in Egypt. Kamel joined the Ministry of Communications and Information Technology since its formation in October 1999, where he had been appointed Senior Advisor to the Minister following his pioneering efforts in ICT. He was board member of Telecom Egypt from 2000 to 2004 and a board member of Egypts Private Public Technology Development Fund (TDF) to support start ups and incubators in ICT from 2002 to 2004. Randy Bush is founder of the Network Startup Resource Center (NSRC), an NSF-supported pro bono effort to help develop and deploy networking technology in projects throughout the world. The NSRC started as a volunteer effort to support networking in southern Africa in 1988, when Bush designed, taught about, and helped deploy a multi-country network using varying technologies. The NSRC works with indigenous network engineers and operators who develop and maintain Internet infrastructure in their respective countries and regions by providing technical information, engineering assistance, training, donation of books, equipment and other resources. Bush works as a Research Fellow and Network Operator at Internet Initiative Japan Research, Japan’s first commercial ISP. He was a founding engineer of Verio, and co-founded the Non-Commercial Domain Name Holders’ Constituency within ICANN’s DNSO. He is also a founding Board of Trustee member of the American Registry of Internet Numbers (ARIN). The NSRC has been instrumental in the creation and expansion of the Internet and technology on the African continent. Pierre Dandjinou is currently the ICANN Vice President for Stakeholder Engagement for Africa. For 12 years, he has been a Staff member of the United Nations Development Programme (UNDP), as a Regional Policy Advisor on ICT for Development and e-Governance for Africa. He has assisted close to 15 African countries in defining their ICT strategies and has contributed in mainstreaming ICT in UNDP’s overall global framework for development. Pierre further on assisted African countries in developing and implementing their national e-governance related projects, namely as relate to public administration reform and modernization (e-administration), institutional capacity development (e-Parliament) and provision of public services to citizens (e-services). Pierre is one of the initiators of the Africa e-Governance Academy (AfeGA), being incepted in Accra, Ghana. On the African scene, Pierre is known as one of the pioneer of Internet connectivity, having participated in many initiatives which aimed at increasing access to ICTs and its subsequent services to the marginalized portions of the society. He organized the first African conference on Internet Governance in Cotonou in 1998 and coordinated the Internet initiative for Africa of the UNDP, which helped provide the first national Internet gateway in many Africa countries. Pierre has been among the first representatives of Africa at ICANN, as an active member of different specialized committees; he chaired the Board of Directors of AfriNIC, the Africa Internet registry from 2004 to 2008. In November 2012 he was appointed as ICANN’s Stakeholder Engagement Vice President for Africa. Dr. Nii Narku Quaynor is a former ICANN Board Director, a Member of the Internet Governance Forum Advisory Group at the United Nations, and Chairman of the Board of Directors at National Information Technology Agency. Quaynor is also a Member of the Internet Society of Ghana, Convener of the African Network Operators Group, was the Founding Chairman of AfriNIC, and was previously an Executive Chairman at AfTLD. He had also served as the Chairman of Network Computer Systems. Dr. Quaynor is the recipient of John Postel Award. Mike Lawrie, a man at the very core of the internet in South Africa, went to school at St Andrew’s College, graduated from Rhodes University and led the Rhodes team that established the first internet networking system in South Africa in 1988. He also administered the ZA domain namespace from 1994 until 2002. Pierre Ouedraogo is the Director of Digital Francophonie at Organisation Internationale de la Francophonie (OIF) based in Paris, France. Over the years, he has established networks of IT experts to coordinate African efforts to develop IT and use it as a tool for development. Mr. Ouedraogo initiated many IT technical workshops in Africa and is a founding member of numerous African regional organizations, including AfriNIC (the African Internet Registry for IP addresses); AfTLD (African Internet Top Level Domain Names Association); AFNOG (African network operators group); AfCERT (African CERT network), and AfrICANN (African network of participants to the ICANN process). Pierre is the recipient of John Postel Award. A graduate of Electrical Engineering, and now Managing Director and owner of the Uganda IT firm Infinity Computers & Communications Company LTD (which previously traded under the name Computer Frontiers International LTD). Charles Musisi pioneered the use of electronic networks for communication way back in the 1990s in a number of countries on the African sub-continent, and later went on to setup some of the early Internet services in the East Africa sub-region in the late 1990s. He has provided technology leadership for over 15 years now and has in the process created a successful business whose core services include VoIP telephony services and Call Center solutions, a vibrant IT Helpdesk and call center. Charles has recruited and trained over 100 top IT professionals now successful in their own right working in business, telecom companies and the public sector. Charles Musisi is manager for .ug, the Top Level Domain on the Internet for Uganda; has worked as project manager for many IT projects that include an IDRC funded activity that created the very first e-mail and Internet service in Uganda, Makarere University’s USAID funded first campus wide network; large application development projects for COMESA, UNEP, UNDP, The World Bank and the EAC. 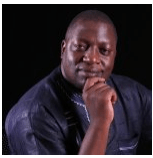 Charles Musisi is a true technology leader who for the past fifteen (15) years served in many roles on technology bodies such as AfriNIC, ICANN and AfNOG. George Sadowsky is an American computer scientist who has worked in a variety of positions related to the international promotion of the Internet. He is a current Member of the Board of Directors of ICANN, elected in 2009 and serving until 2015, and is also currently the head of the CEO Search Committee. He served on ICANN‘s NomCom from 2005-2007, and was an adviser to NomCom‘s chair in 2008. He has also been heavily involved with ISOC. George Sadowsky received his Ph.D. in Economics from Yale, he later studied and taught mathematics at Harvard. At the United Nations, he supported technical assistance projects and has worked in more than 50 developing countries. He has been a consultant to the U.S. Treasury, UNDP, USAID, W3C, the Swiss Government, and World Bank. He has served on Boards of AppliedTheory Corporation, educational networks CREN and NYSERNet, and ISOC where he directed its Developing Country Network Training Workshops. More recently, he was Executive Director of GIPI, the Global Internet Policy Initiative. He has written and lectured extensively on ICT and Internet development. Lane Smith has nineteen years of international development experience with the US Government. 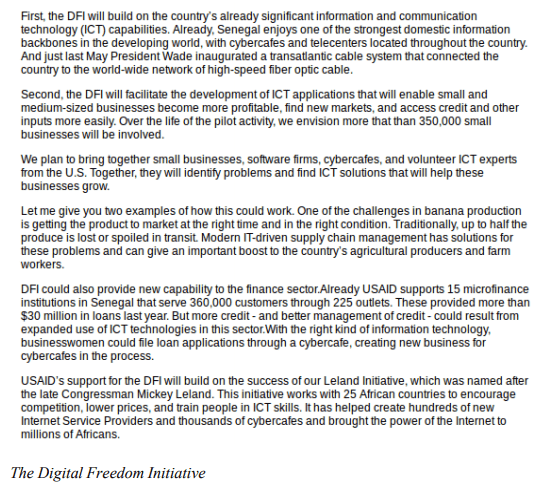 He has served as the Coordinator of the Leland Initiative since its inception in 1996; this is the USAID Bureau for Africa effort to bring the benefits of the information revolution to the people of Africa, through connection to the Internet and other GII technologies. He has worked extensively to embed modern information and communication approaches into White House initiatives, including the following: the Education for Development and Democracy Initiative (EDDI), the Africa Trade and Investment Policy Project (ATRIP) and the EAGER economic research project. In addition, Lane has served as a principal informant for broader US Government approaches to bridge the Digital Divide, including the Internet for Economic Development Initiative. Among the first to enter the field of electronic communications in Africa, Nancy Hafkin has been a pioneer and innovator in the area of networking, development information, and electronic communications, working primarily with the UN Economic Commission for Africa (UNECA) in Addis Ababa. Dr. Hafkin’s work on African networking helped build the continent’s ICT framework through partnerships with governmental, nongovernmental, and development institutions. At UNECA, she served as coordinator for UNECA’s African Information Society Initiative and team leader for promoting information and communication technologies for development. Dr. Hafkin also served as chief of the Pan African Development Information System and chief of research and publications at the African Training and Research Center for Women. She played a central role in facilitating the Association for Progressive Communications’ (APC) work to enable email connectivity in more than 10 countries during the early 1990s before full Internet connectivity became a reality in most of Africa. Hafkin has been instrumental in helping raise global awareness of issues related to gender and information technology and development. In 2006 she co-edited “Cinderella or Cyberella: Empowering Women in the Knowledge Society,” a collection of essays discussing ways that information and communications technologies empower women. Most recently she contributed the chapter on gender issues to the World Web Foundation volume edited by George Sadowsky, “Accelerating Development Using the Web: Empowering Poor and Marginalized Populations. In 2012, Nancy Hafkin’s was inducted to the Internet Hall of Fame for her contributions to the building of the open Internet. Dr. Adam is an independent consultant and researcher specializing in ICT applications in development, and ICT policies and regulation with special focus on developing countries. In the period of 1989-2002, he worked at the United Nations Economic Commission for Africa in Addis Ababa as a programmer, trainer, network manager and regional advisor. He was a Hewlett Fellow of Information Technology at the Center of International Development and Conflict Management of the University of Maryland from 2003-2004. Alan Barrett holds an M.Sc.Eng. from the University of Natal, Durban (now UKZN). In the late 1980s and early 1990s he was a lecturer in the Department of Electronic Engineering at UND. He was a co-founder of the first commercial ISP in South Africa, TICSA, which later became UUNET Internet Africa (now Verizon). He has been involved with several Internet-related organisations, including ISOC, AfNOG, and AfriNIC. Mike Jensen is an independent consultant with experience in over 40 countries in Africa assisting in the establishment of information and communications systems over the last 15 years. A South African based Johannesburg, he sent his first email 20 years ago while studying rural planning and development in Canada. He subsequently returned to South Africa to work as a journalist on the Rand Daily Mail in Johannesburg in 1983. When the paper closed he moved back to Canada and in 1986 he co-founded the country’s national Internet service for NGOs, called coincidentally, The Web. After helping to set up a similar ISP in Australia in 1989, he returned to South Africa where he works with international development agencies, NGOs and governments assisting them in the formulation, management and evaluation of their Internet projects. In 2008 Mike established a base in Itacare, Bahia, Brazil where he spends an increasing amount of time working on global projects. Mike is a board member of the South African ISP for NGOs – SangoNet, a member of the international advisory board of IICD, and was a member of the African Conference of Ministers High Level Working Group which developed the African Information Society Initiative (AISI) in 1996. Dr. Abdelaziz Hilali is one of the principal founding members of the ISOC Morocco, the first ISOC chartered chapter in Africa. Dr. Abdelaziz Hilali is a Professor at the Moroccan Telecommunications graduate institution (INPT). He graduated from the Joseph Fourier University of Grenoble, where he earned a PhD in Applied Mathematics and Computer Science in 1987. Following his graduation, he has published a number of scientific papers and given a substantial number of oral presentations at international meetings. Dr. Hilali has been a member of the ministerial commission in charge of the launching of the program of the master’s in Telecommunications and ICT engineering. He was in charge of student academic affairs, and a deputy director of the Master training programs and he is currently director of Corporate Relations within the same institution. He is a Founder of the Moroccan IPv6Task Force. He is currently, member of the Multistakeholder Advisory Committee (MAG), Secretary general of the African Regional At-Large Organization (AFRALO), president elect of the Mediterranean Federation of Internet Associations (Tunis 2007) and the president of ISOC Morocco. Najat Rochdi is Moroccan. She holds a Doctorate in Mathematics and is Engineer in Computer Sciences. Najat is currently the Deputy Director in charge of Policy, Communication and Operation at the UNDP headquarter in Geneva. From October 2003 to May 2008 she was the Regional Director of Information and Communication Technology for Development in Arab Region (ICTDAR), in UNDP. She initiated and implemented several regional initiatives in 18 countries of the Arab Region. Najat worked very closely and got funding from EU, European Commission, AECI in Spain, etc. She worked extensively in Egypt, Morocco, Palestine, Lebanon, Jordan, Yemen, UAE, Tunisia and Syria among others. ICTDAR had 4 flagship regional initiatives: Youth empowerment, women empowerment, ICT for peace and dialogue of civilisation (one of the most successful initiatives involving several countries from the Mediterranean region including Cyprus, Portugal and Turkey) and SME support and job creation. She was the Deputy Minister for the Small and Medium Enterprise’s. Prior to that, Najat was Advisor to the Secretary of State in charge of IT in the Prime Minister Office and General Director of Cooperation and IT Development. She was also the national Focal Point for the European Mediterranean program for the Information Society in the Region and a member of the Euro Mediterranean process Group. Najat started as a Professor at the University and at the College Royal in Rabat. She was published in several research magazines and contributed as a co-author to several books. Najat was a member of the high level panel of ICT experts set up by the former UN Secretary General, Mr Kofi Annan, to advice on ICT policy for economic and social development for the ECOSOC and General Assembly. She is also a member of several think tank groups and tasks forces in Europe, Africa and Middle East. Paulos Nyirenda was born and lives in Malawi. He is the manager of the Malawi .mw ccTLD. He is the national Coordinator of Malawi SDNP. He is an academic member of staff in the Physics Department of the University of Malawi. He was involved in the formation of the ccNSO, was a member of the original ccNSO launching group. He is currently a ccNSO Council member representing the Africa region. He holds a PhD in Electrical Engineering from UNSW and has produced a number of publications. Dr Nyirenda holds and has held many other important positions in society including being the current chairperson of the Malawi Internet Service Providers Association, a trustee of the Malawi Switch Centre, a director and president of the Africa Top Level Domain Organization, an elected co-chair of AFRINIC Policy Development Working Group. Farouk Kamoun, PhD. (born 1946) is a Tunisian computer scientist and professor of computer science at École nationale des sciences de l’informatique (ENSI, the Computer Science School of The University of Manouba, Tunisia). He contributed in the late 1970s to significant research in the field of computer networking in relation with the first ARPANET network. He is also one of the pioneers of the development of the Internet in Tunisia in the early 1990s. Mouhamet Diop graduated in 1993, from ESSEC (Ecole Superieure des Sciences Economiques et Sociales) at Cergy in FRANCE, with an M.B.A of Finances. Mouhamet Diop also graduated in 1992, from French Graduate degree in Telecommunications Engineering from ENST de Bretagne Computer Science and Networking FRANCE, and obtained at the University of Rennes in Parallelism and Distributed Systems », A Diplôme d’Etudes Approfondies (corresponding to a Preliminary Doctorate Certificate). Mouhamet Diop also graduated in 1990 from ESMT de Dakar, a Telecommunication Engineering degree with highest honours, after a degree (French Bachelor of Science) in Physics and Chemistry, obtained at the University Cheikh Anta Diop de Dakar. Mouhamet Diop has set up the Internet Project in 1994 in Senegal, within the national telecom company and main ISP, and in 1997, he built the most famous national IP-based network in Senegal. He served as the Data Network Manager for Sonatel for two years. From 1995 to 1999, he managed the Internet infostructure in Senegal and he set up the second LIR (Local Internet Registry) in West Africa, SONATEL, after the Burkina Faso. In 2000, he set up his own company called NEXT SA and is involved in commercial internet services.